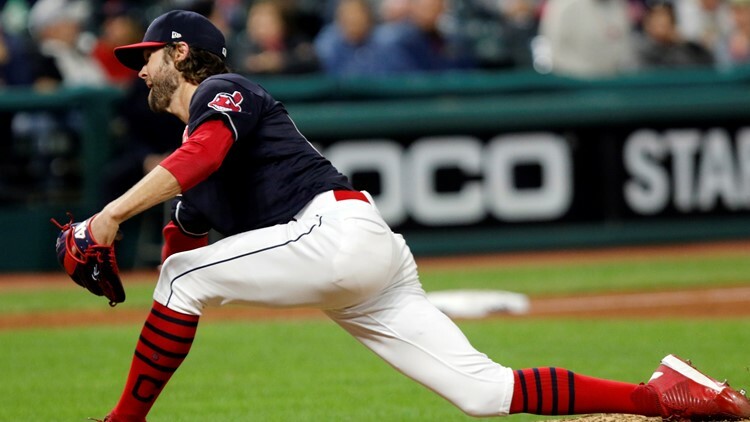 CLEVELAND — Relief pitcher Adam Cimber had a whirlwind 2018 season, and not just because of his debut in Major League Baseball or the trade that sent him and closer Brad Hand from the San Diego Padres to the Cleveland Indians in July. Cimber was scheduled to marry his fiancée, Lauren, last October, but after the mid-season trade, any idea of fall nuptials had to be altered by a month. Cleveland Indians relief pitcher Adam Cimber delivers against the Texas Rangers during the eighth inning of a game in Arlington, Texas on Friday, July 20, 2018. According to Cimber, Lauren handled in stride the drastic change to one of the most important days of a person’s life. “Completely uprooted it, but she was good with it,” Cimber said. Personal schedules aside, the 28-year old Cimber filled a unique role for the Indians after being acquired in the deal with the Padres. Not only was Cimber a set-up man to get the ball to the closers, namely Cody Allen and Hand, but he was the pitcher relied on to confuse opposing hitters because of his unique arm angle. 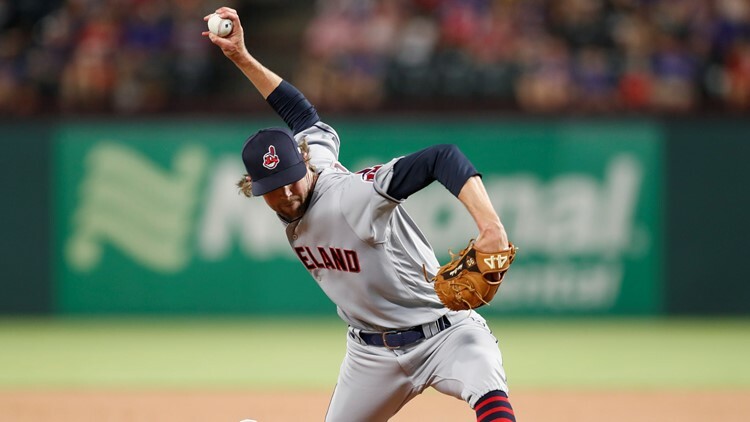 In 20.0 innings of work over 28 appearances, Cimber registered seven strikeouts and posted a 4.05 earned run average, but the Indians are confident the best is yet to come out of the submariner. “It was a whirlwind,” Cimber said. Cleveland Indians relief pitcher Adam Cimber delivers in the ninth inning of a game against the Boston Red Sox in Cleveland on Sunday, September 23, 2018. Although there was a whirlwind of change, from teams to personal plans, Cimber welcomed the opportunity to play for a contending team. The Indians won their third straight American League Central Division Championship in 2018, and have plenty of designs not only for keeping those good times rolling, but also, making them all the sweeter with a run to the World Series. “It was a fun experience in San Diego, but there’s nothing like winning, and coming here and being around a group of guys that have won year after year after year, kind of jumping in and saying, ‘Alright, I’ve got to hold up my end of the bargain and try to help this team out,’” Cimber said.